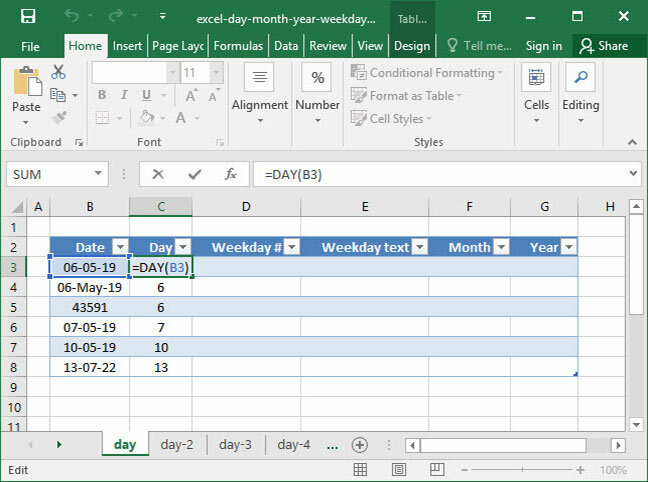 Now that you've got a handle on date storage in Excel with the DATE function, it's time to learn about four more critical time manipulation tools: the DAY, WEEKDAY, MONTH, and YEAR functions. 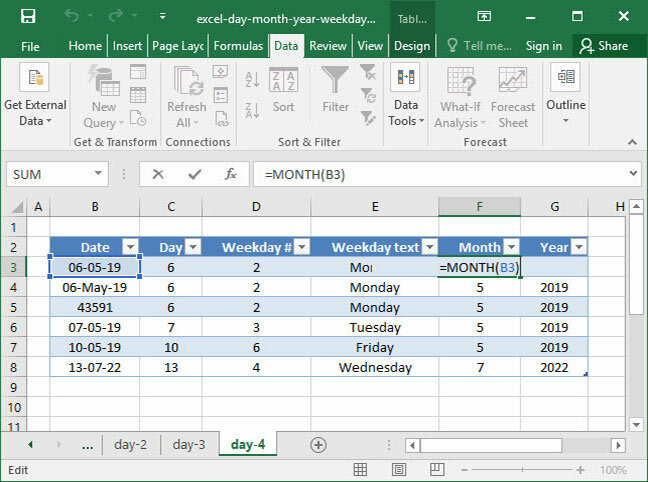 These functions are used to take a date (inputted as a date-formatted or date-serialized number) and find the day, weekday (e.g., Monday; Tuesday; etc. ), month, or year of the date specified. 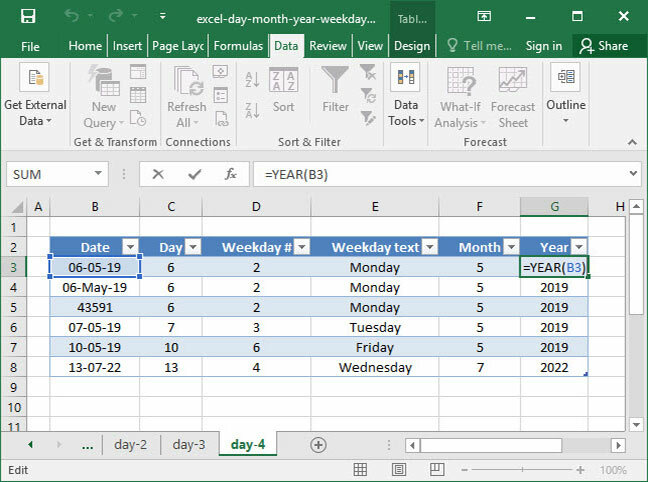 Before reading through this tutorial, it's critical that you familizarize yourself with Excel's date formatting and serialization techniques. If you need to do so, head on over to our DATE function overview first. As you can see, DAY works on all of the above, whether the date is inputted as 5/6/2019 or 6-May-19 or 43591. 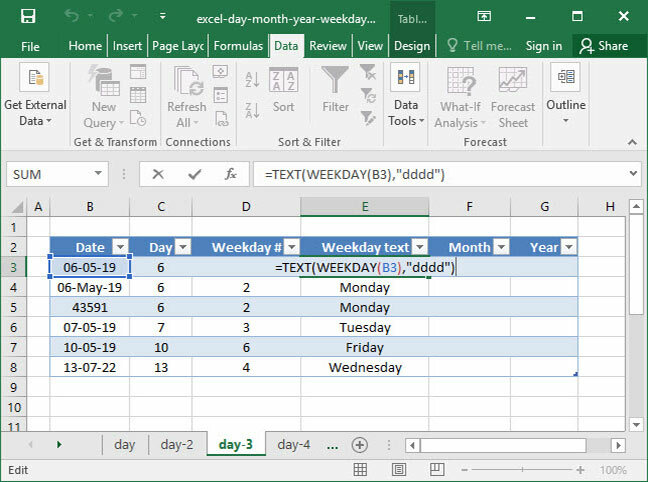 The above formula outputs 2, because by default, WEEKDAY represents Monday as the integer 2. 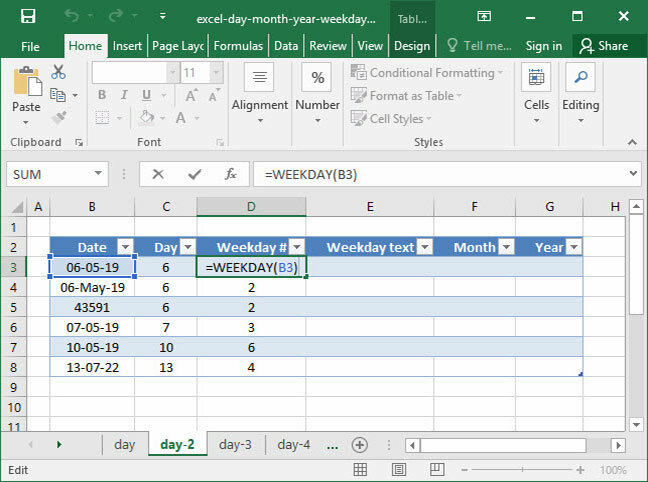 Those are the basics of Excel's DAY, WEEKDAY, MONTH, and YEAR functions! If you have questions or comments on the above, be sure to let us know in the comments section below.